May 1, 2018- Portland - Seats Available! Ethics in Prevention training was developed under the Substance Abuse and Mental Health Services Administration for the Center for Application of Prevention Technologies. It is endorsed by the IC&RC Prevention Committee and may be used toward the education/training requirement for IC&RC’s Prevention Specialist credential. 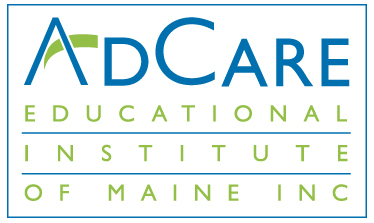 Participants completing the training will receive a certificate for seven hours of participation which can be submitted to the Maine Prevention Certification Board to meet the requirement of ethics training for certification or re-certification. It provides opportunities to engage in discussions of the prevention code of ethics’ six key principles and explore a four-step decision-making model for assessing, addressing, and evaluating a range of ethical issues. Explore a four-step decision-making model for assessing, addressing, and evaluating a range of ethical issues. Registration Fee of $50 dollars includes workshop attendance, continental breakfast, lunch and 7 hours of continuing education that may be used towards Prevention Specialist credential. Early Bird Fee- PAY by April 25, 2018 and SAVE $10! This workshop is intended for people who work in the Prevention Field. This workshop will NOT address ethical issues for Treatment Providers and will NOT satisfy the ethic requirements for Treatment Providers. For Example: LADC, CADC, LCSW, Etc.